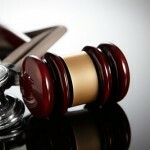 Malpractice liability risks relating to therapies the practitioner offers. Risk of prosecution for unlicensed practice of medicine or other professions. Claims and/or guarantees made in the practice. Use of any potential “medical devices” under the federal Food, Drug & Cosmetic Act. FDCA risks relating to off-label or experimental therapies. Primary/integrative vs. CAM-only care (for MD/DO). Disciplinary issues (including standard of care). Insurance (Medicare) issues (par v. non-par v. opted out). General liability insurance (e.g., spa liability; general business liability; employee benefits liability; group health insurance; healthcare billing errors and omissions; directors and officers; employment practices; workers compensation). Vicarious liability for acts of associated practitioners. “Medical mall” vs. “center” model. Analysis of Stark and federal anti-kickback issues for illegal business arrangements (such as splitting fees between MD, Center and practitioner). Write memo analyzing Stark, anti-kickback and fee-splitting issues and outlining compliant compensation arrangements. State self-referral and anti-kickback issues and design of flow-of-payments. Contract between MD/DO and Center/Clinic/Practice/Spa. Legal and contractual issues involving service as medical director. Contract between non-medical Practitioner and Center/Clinic/Practice/Spa. Medical supervision issues (e.g., Botox, spa therapies). Legal Review & Advice Relating to Marketing Materials (including brochures and main website). General Informed Consent Form for medicine, chiropractic, acupuncture, massage, etc. (or non-licensed practitioner if state law mandates disclosures). Nutrition Notice (if applicable—e.g., CA). FTC/FDA Disclaimer for main website and marketing materials. Privacy Form (non-HIPAA, mirror form; or HIPAA manual if billing electronically). Medicare ABN Notice and Patient Assignment or Waiver Forms. Non-participation letter for insurance companies with whom MD/DO has contract through medical school or hospital affiliation, managed care or MSO contracts. Letter to malpractice carrier regarding coverage of CAM. Advice on Choice of Entity & Incorporation (including professional service or professional medical corporation). Advice on intellectual property protection (copyright, trademark, trade secrets). HIPAA Manual and Forms (including Business Associate form). Agreements covering speaking/consulting, distribution, other services. Specialized consent forms (e.g., Lyme disease, IV therapies, IPT, heavy metal challenge diagnostic testing, etc.). Develop or review credentialing & quality assurance plan for practitioner selection, and documentation. CLIA advice (chemical services, lab tests, blood fluids); scope of practice and standard of care issues regarding lab tests.